HE is one of Spain’s best-selling novelists. And Carlos Ruiz Zafon does not shy away from describing the horrors of war that took place under the Franco regime, as part of his so-called ‘Cemetery of Forgotten Books’ quartet. This one though, is perhaps a little darker even than its predecessors. 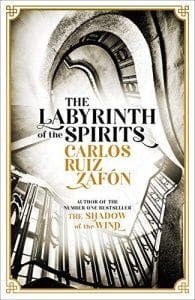 While The Labyrinth of the Spirits can be read as a stand-alone novel it might be beneficial to have read at least The Shadow of the Wind first, as Zafón has created an intricately woven narrative bringing together characters introduced in previous books as well as new characters such as the seductive and enigmatic Alicia Gris. 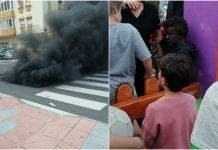 As a child she survives the relentless bombing of Barcelona with both physical and emotional scars. As an adult she has worked for the secret police in Madrid for over a decade and is ready to leave but agrees to investigate one more case, the disappearance of Spain’s Culture Minister, Mauricio Valls. With her partner, Juan Manuel Vargas, she discovers a book hidden in Valls’ office. This discovery brings her back to Barcelona and into contact with Daniel Sempere, The Book Shop and The Cemetery of Forgotten Books. Despite the 800-plus page count Zafón has crafted a fast-paced mystery that is sure to please devoted fans and excite new readers.